Full Design-Build firm that hand selects finishes, custom designs floor plans, and self-performs the build out. Job cost ranges per client, job size, and time. 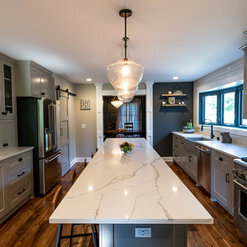 Local Milwaukee Design Build group that brings you a full-service renovation from concept and design through construction and finished product. We focus on building relationships with clients and pride ourselves on the craftsmanship that MKE delivers. Transparent and open communication with our team and our clients makes the process enjoyable, efficient and exciting for everyone involved. We completed a basement project with MKE. They were wonderful, professional, personable, knowledgeable, experienced, and flexible. The designer, GM, and peripheral workers made a fairly large basement remodel doable and painless. Highly recommended! We worked with MKE Design Build on a kitchen redesign/build, moving our kitchen to an entirely new space in our nearly 100 year-old home. 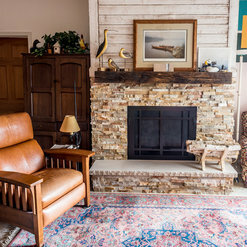 The finished space is fantastic — it not only looks great but has made our home more functional. The team at MKE was great to work with during every stage - from planning and budgeting through construction and finishing. All construction teams were clean and friendly. We plan to work with MKE again! MKE Design build was fantastic to work with. To start, the design team is full of great ideas but also listens very well to the needs of the customer! I enjoyed working with the designer, Michelle, so much that I have contacted her for other projects and ideas before our first project was complete. We updated our basement and every team we worked with was fantastic. The carpenters are incredibly detailed and very clean. The other teams we worked with were very nice and friendly. We received project updates as needed and whenever we had questions, MKE always responded promptly. We have already reached out to MKE Design Build for another project! I highly recommend this company! 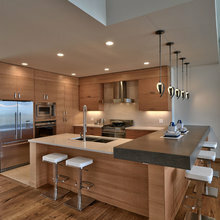 We worked with MKE Design Build for several months on planning a full remodel of our kitchen. For the most part, it went well. Their designs look great and they seemed like great people to work with. Then it went south. At the front end, we let the company know that we were looking for a project with a budget of about $25,000. After going through a thorough process of designing the remodel and doing multiple walkthroughs of the house, we were given a cost estimate of literally a handful of dollars under $25,000, which we thought was perfect. After putting down a 10% deposit and signing a contract, we worked with the company to pick materials in line with the estimates contained in the contract and scope of work. When we received the updated contract, the price went up to $31,000 – an increase of over 25%. We were obviously taken aback by the huge cost increase as we were led to believe that all of our material decisions were in line with the initial estimates. The countertops went up 15% and the cabinets went up 10%. Again, we were led to believe that our choices were in line with the estimates provided. 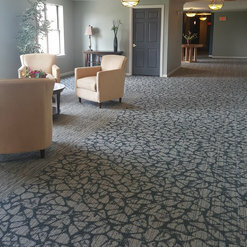 We expected our flooring costs to go down as we decided to refurbish our original maple floor rather than install a tile floor and were told this would lead to a major decrease. The new price was within 3% of the old price and no explanation was given for this. Worst of all, the plumbing cost went up 100%, despite literally no changes to the project that would necessitate any increase. The excuse to this one was that the plumber somehow missed the giant beam that goes across our basement and there was a matter-of-fact expectation that we would pay for what was, if the contractor was being honest, an egregious error on their part in estimating costs. The remaining cost increase was due to a decision to replace our plaster walls with drywall. Drywall installation is cheap, and yet this added over $2,500 to the project cost. We would have been okay if this was the only major change – this was at least due to a material change in project plans and can be explained with a straight face, but unfortunately it was one of many. After having a frank discussion with the contractor and expressing our disappointment, she offered for us to return to the original proposal. We took this offer at face value and decided that we would offer the initial proposal (eliminate the new drywall in the process) and would pay for the increases in countertop and cabinet costs even though we were misled on these costs. We would keep the initial price on the plumbing and the flooring – one of which favors them and one of which favors us, likely for similar and counterbalancing amounts. It was a good faith proposal, based on the contractor’s initial offer and contractor’s cost estimates. We expected a reasonable discussion to ensue, and for us to ultimately reach an agreement and move forward on a project we had spent months working on already. What happened next shocked us. After months of preparations and working together (not to mention a 10% deposit), the contractor responded to a reasonable good faith offer by unilaterally backing out of the project. As I can surmise, one of two things happened. One, the contractor purposely underbid the initial estimate to get us to pay the 10% down payment with the understanding that they’d jack up the price later after we were well into the process, with the assumption that we’d be too far in and would have no choice but to go along with the increases. Or, the contractor got another offer for a project at the same time (January, usually a down time for renovation contractors) for more money and decided they wanted to create an excuse to back out. In either event, we ended up with months of time wasted on a contractor that did not operate in good faith. Although I’m sure the contractor will create some sort of rationale in responding to this, realistically, one of those things occurred. It left an awful taste in our mouths and I’m writing this review so that future homeowners considering this contractor understand what you’re walking into. In addition to all of this, this contractor frequently missed deadlines that she chose herself in responding to action items and also cancelled multiple meetings on us at the last minute. At the time we didn’t sweat this as we just had our first child and were intentionally planning months in advance for a January project. But in hindsight, I think we dodged a bullet. It’s one thing to miss deadlines when planning a renovation, it’s quite another to do so while your kitchen is in shambles. If anyone reading decides to go with this contractor, our advice would be to hold a strong line on deadlines early and often, to not give them a budget range on the front end that they can use to string you along, and to assume that whatever estimate they provide you will increase by 25% when it’s all said and done. We have worked successfully and seamlessly with contractors before and we thought our time with this contractor was going well also. But then they essentially pulled a bait and switch on the price and then backed out when called out on it. Renovating a part of your home, especially a part as important as a kitchen, is a big deal. The process dominates your life as a part of your home is destroyed and rebuilt over the course of weeks or months. Trust and good faith are critical. I would highly recommend seeking out a different contractor than this one. We at MKE Design Build strive to be as transparent and accommodating to all of our clients by following a step by step procedure that we have developed over the course of many years. That being said, unfortunately, we also realize that we will not be the best fit for every client and/or every project. That certainly does not stop us from doing everything in our power to please and meet or exceed the expectations set forth by new clients and projects. Regrettably, we were not able to come to terms with this client after completing the Site Walk-through. Because of the inconvenience caused we did elect to provide a full reimbursement of the 10% down payment provided and did not pursue any compensation for the time, estimates, or drawings provided. As always, we wish all of our clients and/or potential clients the best, regardless whether or not we are their selected contractor. MKE Design Build did an excellent job for us. We highly recommend them for any project. 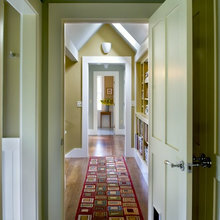 Our project was the addition of a full bathroom and walk-in closet on our second floor. It included a large dormer being added to our second floor. Our old home made the project even more challenging. MKE Design Build did an amazing job understanding our vision, translating it into a beautiful design, and turning the plans into reality. We had a very specific style we were hoping to achieve, and we were worried that the design and material selection process would take us forever. We provided Michelle a few pictures to explain our general vision, and she got it immediately. 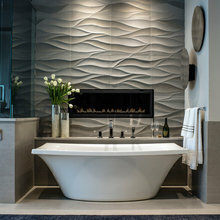 She paired our selections down to a few great options for each element of the design. It only took a few meetings to finalize all of the design decisions. We were very impressed with Michelle’s talent for design. Once the building began, the team communicated with us through every step. Michelle and Tom were always available, and they quickly responded to every call, text or email. Their whole team was very respectful of our house and our neighbors. We live very close to each of our neighbors, and we didn’t receive a single complaint. Our project involved putting up scaffolding on the edge of our neighbor’s property for a few days in order to finish the exterior. Our neighbor later told us how courteous the team was, and how respectful they were of her property while working over there. Each change in our design plan was clearly discussed and changes to the original quote were agreed to ahead of time. We did not have any surprises when it came to projects costs and payments. The bathroom and closet are beautiful. We love it. Michelle and the team helped us work through every challenge our old home presented in order to get exactly what we were hoping for out of the project. If you choose MKE Design Build for your project, you will be very happy with the results. MKE Design/Build did an exceptional job on my total kitchen remodel and bathroom remodel. Starting with the initial meeting to the completed project I encountered pure professionalism from everyone at MKE. ALL of their workers were courteous, focused on details, and were perfectionists. I am 100%+ happy with my new kitchen and bathroom and would recommend MKE to anyone. Thank you Jackie, you were such a pleasure to work with as well!!!! Michelle came highly recommend to us and we would highly recommend her with a remodel of any size. She is personable, efficient,accommodating, excelent vendors, comes in on budget and on schedule . We worked with MKE on a major addition to our second floor. Michelle, Tom, and the rest of their crew were great to work with and did a very good job. Like most home improvement projects, there were issues that came up, but MKE did a wonderful job of communicating and taking care of any problems. I would not hesitate to use them again for our next project! We re-modeled our 1970's bathroom. The design process went very smoothly. It took a while to get the remodel up and going. We live a little outside their MKE work circle so that added to the factor for fitting us in. All the workers were extremely professional and considerate. Good communication with the project leader and team. The work that was done was high quality- their workers are true craftsmen. 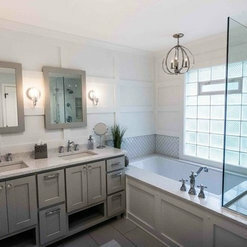 Our only issue was our bathroom remodel project was relatively small and was fit in between other projects so unfortunately the amount of time needed to complete was a bit more than expected. Again we know that we were more of a drive than most of their projects, so they had to factor that in when assigning daily work schedules. We live in Kenosha. The folks at MKE were very nice to work with. Our finished product is awesome! We would definitely recommend them to friends in the greater Milwaukee area. 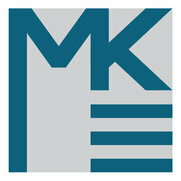 MKE Design Build is a 1st rate company. From the first meeting to the very last day on the project Tom and Michelle worked together to help create exactly what my kitchen needed. The crew works together in a timely and professional manner and always left for the day with the construction site cleaned up. They stayed on task and on budget, answered calls and questions timely and showed up when promised. Michelle and Tom with MKE were recommended by a friend and we are so happy that we chose them! Quality, honesty and follow-through are their strong-suits. They worked with us from the beginning on our budget and adjusted where ever possible.. after finding asbestos, uncovering structural issues, and loosing a job on our end... all while I was pregnant (they do a total clean up after every day of work) and both of us traveling for work (they came and went, locking up and taking care of the packages from the porch for us).. they were understanding and flexible in what surely would have been a nightmare with any other contractor. So happy we went with them and their team; I'd trust them with any project, they are now like family! 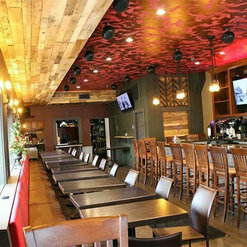 We were extremely happy working with MKE Design Build LLC. Michelle, Tom and the gang are great to work with. Michelle came up with great ideas. Tom kept track of the crew and was on the job regularly to make sure it was going smoothly. Tim and Dustin were so nice to have around on site. Everyone was polite, cleaned up and did a great job! Love the updated kitchen and bathrooms.